It's that time again, dear readers, for the Nintendo Download Update details for North America. This week brings a notable retail title, in addition to four Switch eShop games and a couple of interesting options on the 3DS. Without further ado, let's get to it. 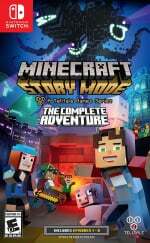 Minecraft: Story Mode - The Complete Adventure (Telltale Games, $39.99USD) - For those yet to catch up with this series on Wii U or any other platform, this could be a good way to experience Telltale's narrative approach to the hugely popular sandbox game. This collection includes the full first series (five episodes) and all the Adventure Pass content (another three episodes). Available from 22nd August. 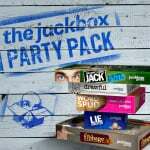 The Jackbox Party Pack (Jackbox Games, $24.99USD) - With the ability for players to jump in using their smart devices, this series of games is a great way to have a laugh with friends on the Switch. This first pack includes the games 'YOU DON'T KNOW JACK 2015', 'Fibbage XL', 'Drawful', 'Word Spud' and 'Lie Swatter'. The Jackbox Party Pack 2 (Jackbox Games, $24.99USD) - With this arrival and its predecessor Switch players can get all caught up on this series of fun party game collections. This one includes 'Fibbage 2', 'Earwax', 'Bidiots', 'Quiplash XL' and 'Bomb Corps'. We'll get some friends around and review both this and its predecessor soon. Magician Lord (HAMSTER, $6.99USD) - More ACA Neo Geo goodness for the Nintendo Switch, this time it's one of the system's earlier games that draws comparisons with Ghouls 'n Ghosts. You use various characters to battle through various areas - we quite liked it in our original Wii Virtual Console review. 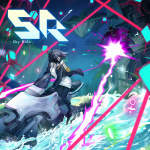 Sky Ride (Mutan, $7.00USD) - Previously released on PS4, the idea here is that you fly through battlefields fighting various futuristic foes. Some videos of the game on YouTube don't inspire confidence, but we'll see how it stacks up in a review. Chicken Wiggle (Atooi, $14.99USD) - From the same team that brought us the brilliant Mutant Mudds, this brings a chicken and worm together in pixel form to work through a solo campaign, while the built-in level editor means we have all the same tools as the developers to create our own stages. It'll be possible to explore the creations of others and share our own online within the game, so this could be an intriguing release for the 3DS. Our review will be with you soon. 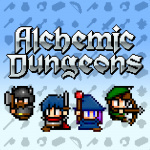 Alchemic Dungeons (CIRCLE Ent., $5.00USD) - This is a turn-based rogue-like game with replayability courtesy of randomly generated dungeons. You can also craft your own unique items to aid your quest. I'm still on the fence about getting Slime-San from a couple weeks ago. The stellar review is pushing me towards buying it. 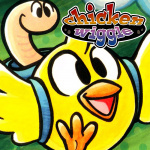 Chicken Wiggle is a must buy. Any game Jools has a hand in is guaranteed to be tons of fun! First week where nothing interests me in a while. I’ve been excited for the Jackbox to come to switch! Seeing how much fun I had with the third one, I will be downloading both of those Jackbox Party Pack games. Please and thank you. After the jackbox games it's time to experience Switch's first real games drought. Mario and Rabbids, Pokken, and sports games for some people, but for me there's nothing until Mario Odyssey. Unless some Harvest Moon-like games drop. Wish 2018's internet service/virtual console were closer. @Spoony_Tech Yep, same here. Nice to hace a respite for my wallet, at least! Nothing really this week. More ports. I intend to get a retail release of Minecraft story mode in the future. Expected JackBox 1&2 to be a bundle, $25 each! No thanks. @Alikan I guess Rabbids doesn't do it for you? I do feel like that's the weakness with the one big game every month. If you don't like one you're just a little bit screwed. Pokken being the follow up is also a little disappointing. Don't care. Sonic Mania came out this week. Honestly nothing interesting to me here anyway. Nothing for me from this list this week....but I did pick up Sonic Mania yesterday and a may finally get around to downloading a couple of the NeoGeo games that I've had my eyes on. Nothing for me this week. Still don't have a Switch and nothing interesting on the 3DS but I might buy Miitopia retail on Monday. An FYI, Magician Lord is $7.99. 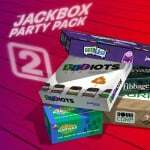 Why isn't Jack Box 1&2 a discounted bundle? $50 total is pretty steep. I 'll be wiggling my chicken for fun the whole day! Ya, nothing for me this week either. Decent games this week, just for a certain type of gamer that's not myself. Slime San is pretty good. I like it alot. @NewAdvent yeah, just in that kid waiting for christmas phase, lol. @Donutsavant yeah, not good at tactical games. You're right that Morphite could be good though. The trailer for it makes it look pretty entertaining. Nothing for me, just waiting for Uncharted Lost Legacy next week. @TommyTLG Believe me, I've tried. Some just never work for me. Not good at tactical games, but I might watch one of my friends play Mario Rabbids on his switch when it comes out. 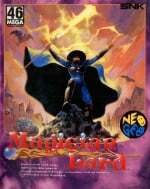 Magician Lord seems strangely familiar, and yet I never owned a Neo Geo. I'll probably download that first. I still want to try Minecraft Story Mode out too. Well I am looking forward to the Switch Striker Pack in a couple of weeks though. I must say though, it's pathetic that Chicken Wiggle's custom levels can be shared online, yet Nintendo's own 3DS port of Mario Maker can't do so. @Giygas_95 As in Azure Striker? I'm still busy with the great releases from 2 weeks ago (Gunbarich, Strikers 1945, Aero Fighters 2) and looking forward to Zed Blade/Operation Ragnarok (which does not look like the greatest shmup ever, but somewhat reminds me Dead Moon which i absolutely love despite being able to see how it's objectively not very good), so it's ok that there's nothing for me this week. However, i really don't like that we have no clear statement from Zerodiv on their plans for more releases of Psikyo games on the Switch. As it stands now, i will hope for something every Thursday only to be disappointed. @audiobrainiac Yep! I got the first Azure Striker on 3DS, and I enjoyed it pretty well. I never got it's sequel though, but I think now's a good time since both will be on Switch with a whole host of improvements like HD resolution, TV play, 60 frames per second, and all of the DLC included! It won't have 3D obviously, but Gunvolt's 3D effect on the 3DS is kinda underwhelming anyway. I also got Mighty Gunvolt Burst on Switch, and I want more Mega Man type action. As for September 15th though...Samus Returns. My most anticipated game in a LONG time. $15 for Chicken Wiggle is way, way too much. Not buying Renegade Kid games at full price ever again. Come on people Chicken Wiggle looks to be a steal of a deal!!! Pick it up! Dustin' off the ol' 3DS for Chicken Wiggle. I'm just getting around to playing Sonic Mania (once my CE finally arrived from Amazon today), so for now nothing for me this week. If I had a 3DS still I'd probably go for Chicken Wiggle because I loved Mutant Mudds and I'm a sucker for level editors. I hope we get that Summer sale today, if not....then soon. The Jackbox Party game pricing seems on par or close enough to current price for other systems. 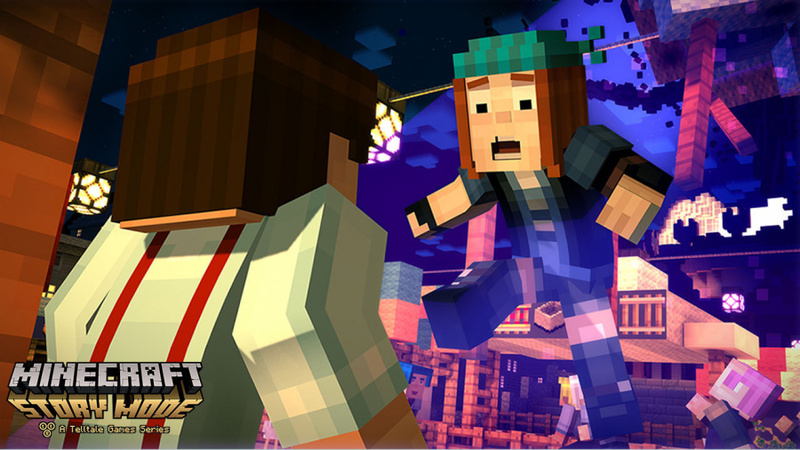 Minecraft Story Mode Season 1 is ringing in at double the price as other systems current price. I might pick up the Jack Box games as they are lots of fun and the price is close to other systems. Minecraft Story Mode is just ridiculously priced. Also if you thought $15 was bad for Chicken Wiggle, here in Canada...$20 exactly (plus tax). Eh. Nothing for me. Back to Splatoon. 100+ hours in and praying for new stages soon. Nothing for me. Gotta work on all the games I have going right now before Mario + Rabbids/Danganronpa V3/Mario Odyssey/Etrian Odyssey V come out and overwhelm me. God, I love this year. @Giygas_95 agreed, I'm getting it on Switch as well. Loved the first one on 3DS. Mighty Gunvolt is really rad too. Good times. If I wasn't so infatuated with my Switch, I'd buy Metroid. Might go for Axiom Verge instead. nothing for me this week. might get Splatoon 2 or ARMS next month. Was at Target yesterday and saw Minecraft Story Mode out on shelves and could have sworn it had not relased yet. Deceided to see if I could buy it, but once he scanned it some sort of message must have came up saying he couldn't sell it till the 22nd. This was the first time I have ever seen something be put out early in the wild and kinda knew what would happen but I am happy I tried to buy it at least. He seemed really embarressed about it too, but its not like I really cared. I love it, but it's so bad it's good. The games I could most compare this to are Rastan, Altered Beast, and the original arcade Rygar. Now, being a NEO GEO arcade port, you'll no doubt have unlimited continues, but otherwise the game is brutally unfair and cheap to maximize quarter eating. Having said all that, there is a beautiful weirdness and darkness about the game. Like most action plat-formers of the arcade era, it's a short game, but a spectacle to play through complete with nightmarish scenery and twisted Lovecraftian horrors to face. Alchelmic dungeons is pretty cool. Not sure why 3ds version costs more, just like kemco when you compare its mobile versions. Despite all the coverage Chicken Wiggle has been getting on this site, it just doesn't seem all that appealing to me. It's like, maybe a $5 game, but $15? Heck no. Currently plying MC:SM on my Android TV. For Free. All of the Kutar games are at a price on sale I simply cannot refuse, and might just download them all for the sake of idk, TOAST! Not remotely interested in any of it. Probably going to continue to be the case until Gold & Silver and then again until Odyssey. Got the Jackbox games for review! Try months... I've went into looking at older DS games. Coincidentally Dr. Slump & Arale Chan DS is a blast been playing it alot on my 3DS & really enjoying the game play. Akira Toriyama made Dr. Slump series before Dragon Ball series. Both series are excellent! Been also reading Dr. Slump Comic Book novels. On Volume 5 right now.